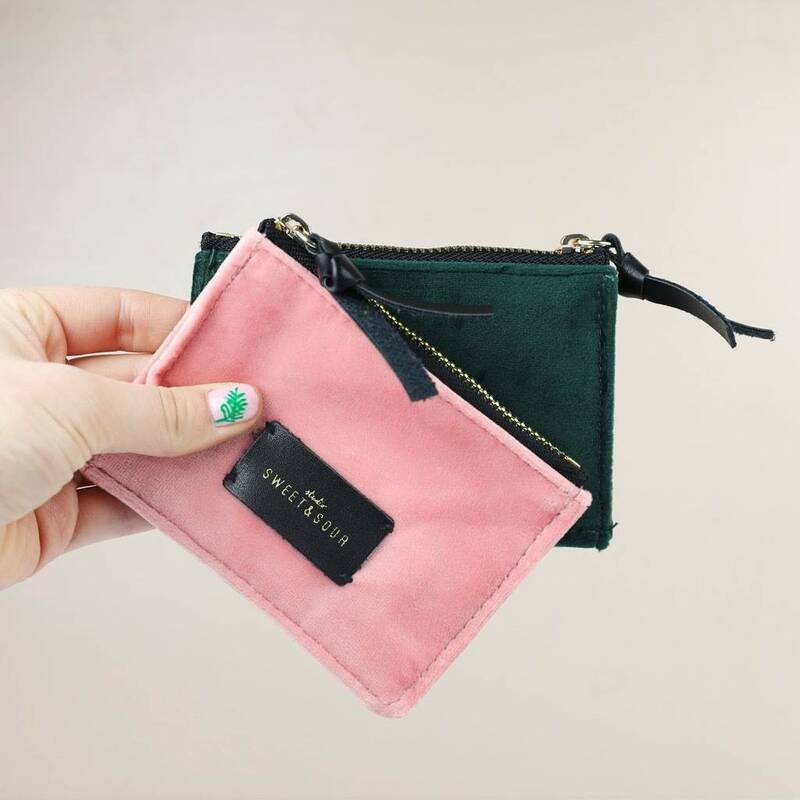 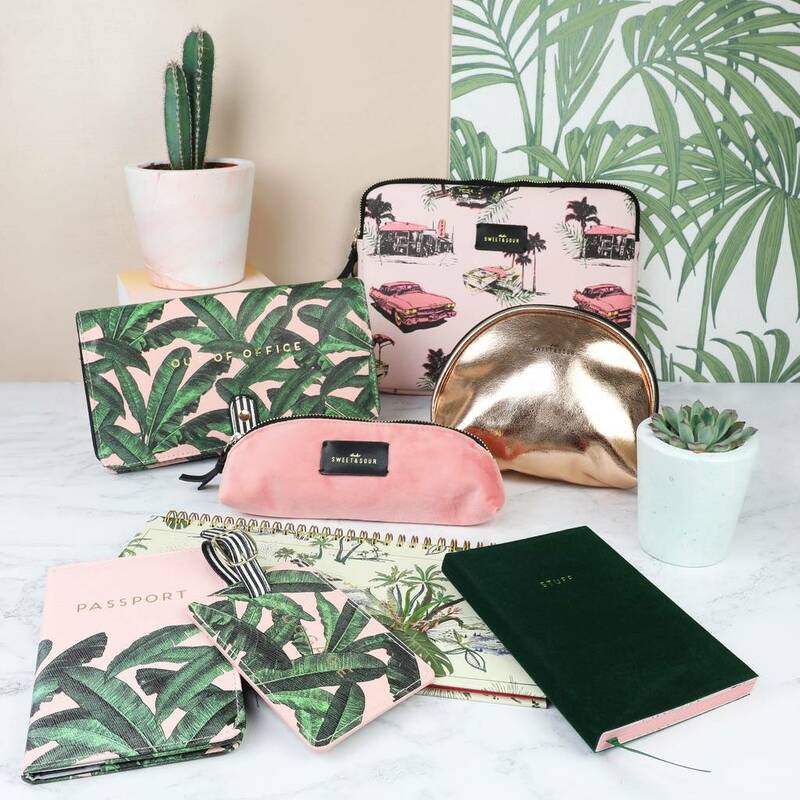 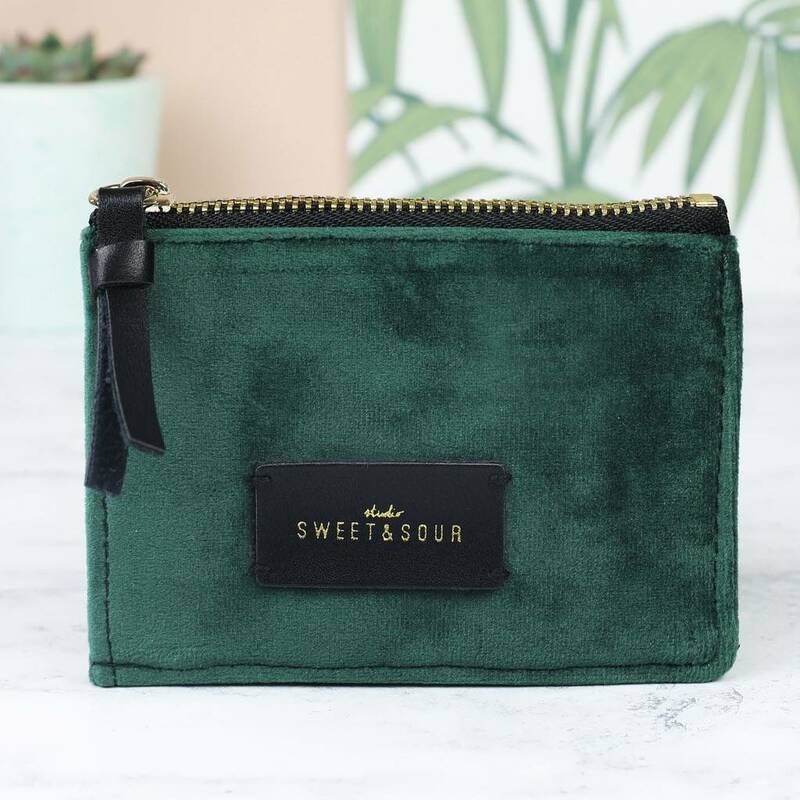 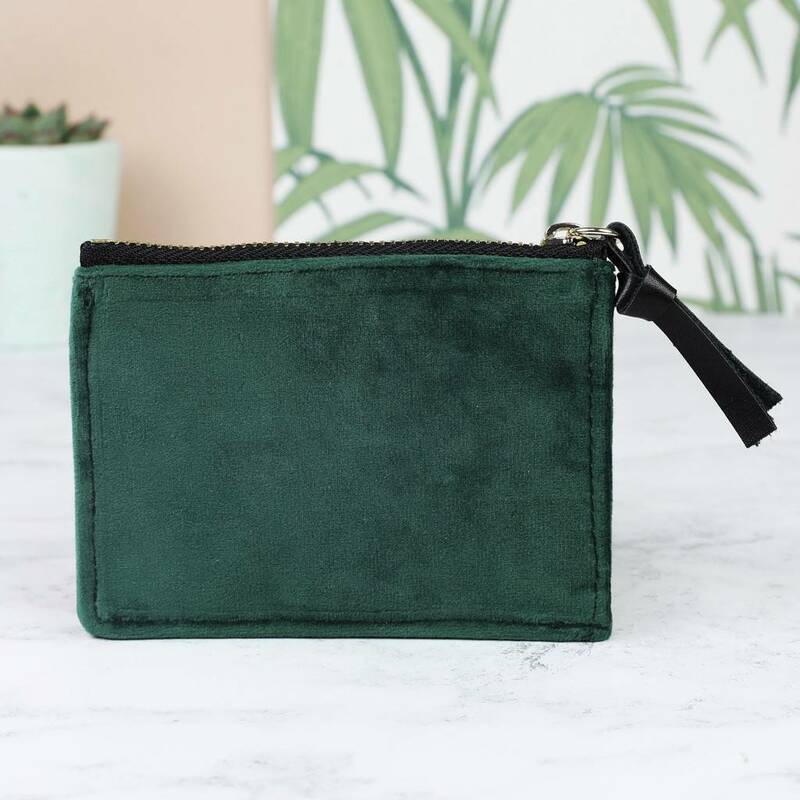 A luxorious velvet purse for small change and cards sourced for the Lisa Angel Accessories Collection. 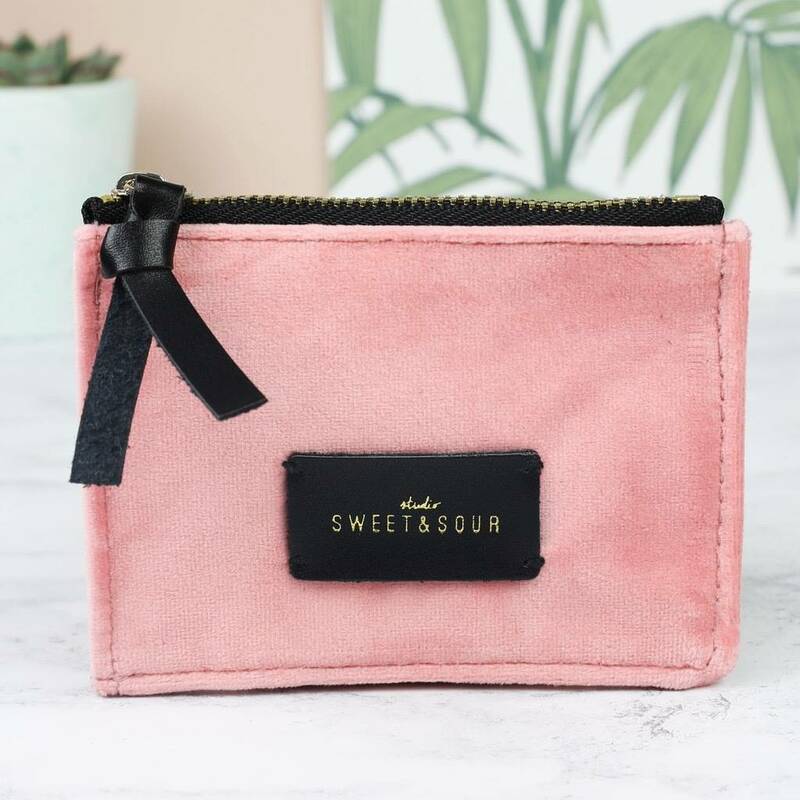 This stylish accessory comes with a zip opening and is finished with 'studio sweet & sour' branding on the front. 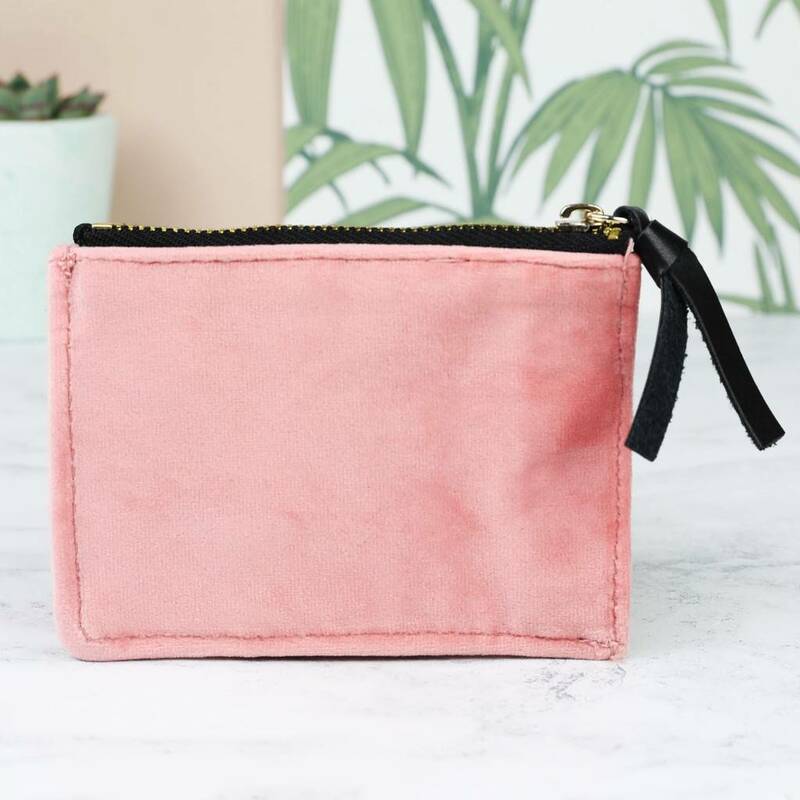 Available in a soft pink and green.